The world of talent search is fast-paced, competitive, and evolving and those sourcing top performers are often without the roadmaps they need to navigate through the process of finding the best candidate for an open position. But not anymore. The Executive Search Process: A Step by Step Guide to Finding the Right Candidate is the navigation tool you’ve been looking for in your quest for recruiting success. Written by a search consultant with extensive international and cross-functional experience, this book will take you from point A to point Z, giving you expert advice and in-depth tools for every step in between on your journey to finding the right candidate when other methods have failed. In The Executive Search Process, you’ll find tips and tricks for how to save time in your search process, what mistakes to avoid, where to find the best online resources, advice on making search calls, and the methodology to use when selecting top performers for any position. You’ll learn everything from how to develop your own search strategy to techniques for social media recruiting to what’s involved in closing the deal in a professional manner. And we’ll give you the latest tools and the inside scoop on the hottest trends in the executive search and recruitment industry. This easy-to-read book that has been optimized for e-readers and computer monitors contains full-colour pictures and diagrams in every chapter, making it a perfect fit for visual learners and busy professionals. 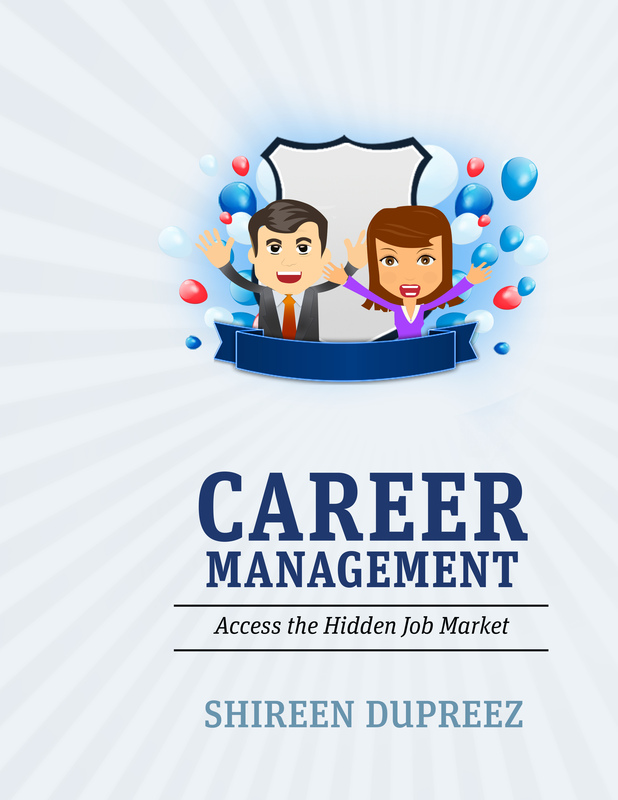 My name is Shireen DuPreez, and I am the author of an exciting book, The Executive Search Process: A Step by Step Guide to Finding the Right Candidate. If you are responsible for finding or hiring staff, you likely have faced the same challenges and problems that I have during my career, especially my early career, as an executive search and recruitment professional. You know how demanding it can be finding exactly the right candidate for your open positions. As a professional, and one mentored and tutored by some of the leading professionals in the field, I learned that success in executive search follows a proven process. What if you could significantly improve your chances of recruiting the best possible applicant for those keys jobs? That is exactly what my book can do for you. I am an experienced Executive Search Consultant and have recruited for organizations of all sizes from start-ups to American Fortune 500 companies. I learned the business from the ground up, first working as a candidate developer for an established executive search firm in the San Francisco Bay Area. Following that I worked as a Senior Consultant for a boutique talent acquisition company in Perth, Australia. My executive search experience is across functional lines from contributor roles right up to Vice President level positions. When I became an independent consultant, I updated my skills and while doing so discovered the lack of sound advice for search professionals. I decided that I had the knowledge, experience, desire, and research skills to fill that void. The Executive Search Process is the result. As someone hiring staff, you can go through months and months of not finding suitable candidates. You search and search and have little to show for it. You can wander aimlessly around the web looking for candidates and places to find them, spending hour upon hour doing so. You may post an ad on a job site and pray you get suitable applicants responding. But you never seem to find just the right person. A search takes time. Now, with my book, you will have a guide and tool based on the experience and expertise of those who have succeeded in the business and one that will take you step by step to hiring success. You won’t have to settle for the pool of candidates who are looking and applying for every job that they believe is “close enough”. You’ll be able to short cut the process, conduct an executive search yourself, locate top performers for critical roles, and learn the best search practices quickly. Everything you need to know to start an executive search immediately is included in The Executive Search Process. – Specifically designed for reading in electronic format to make the text very accessible and readable on electronic devices. – Over 50 pictures and diagrams to help you understand the concepts fully and make it easier to do. – With 146 pages, it contains the latest information on executive search research giving you the heads up on the cutting edge tools to maximize your effectiveness. – Full bibliography list with over 160 references, saving you time on research. Do you want to stay ahead in your field? Do you want to reduce your cost per hire? There is a better way to source candidates….Purchase this guide with handy tools and techniques. ***Bonus feature: Full search process checklist. Included in the last section of the book is a full checklist of all the tasks you need to implement throughout the process to help you stay organized and on track. 1. Click Add to Cart and purchase the book. 2. Check your email (remember to check your junk or spam folder in case it is sent there), you will have download instructions granting you immediate access to your new book. 3. Download your new book. Money back satisfaction guarantee. If you aren’t 100% happy with a product or service simply request a refund within 30 days of purchase.